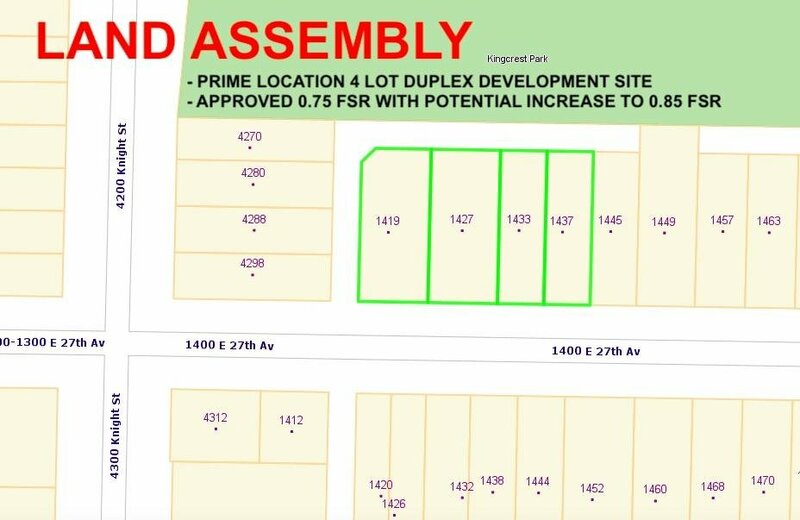 POTENTIAL 4 LOT LAND ASSEMBLY. Prime location corner site near Knight and King Edward. 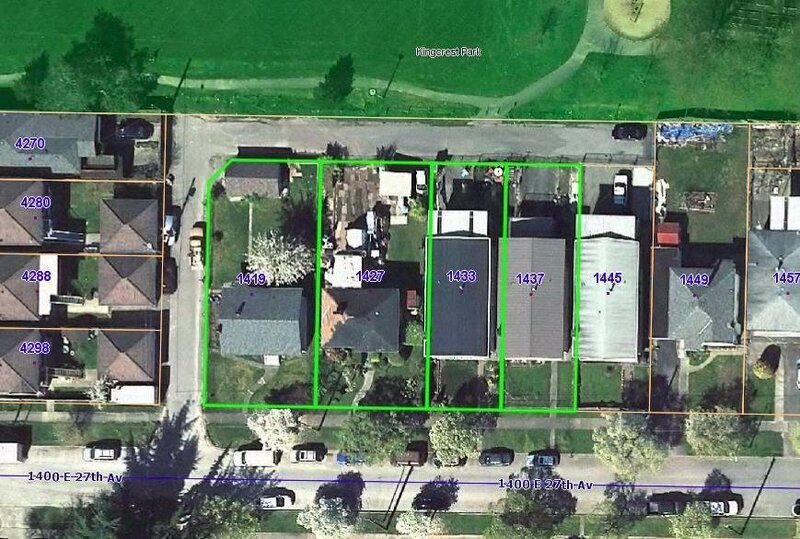 RT-10 Zoning (small houses and duplex) lot size of 50 x 110.3 = 5,515 sq ft. City of Vancouver has already approved 0.75 FSR duplex development with potential increase to 0.85 FSR. 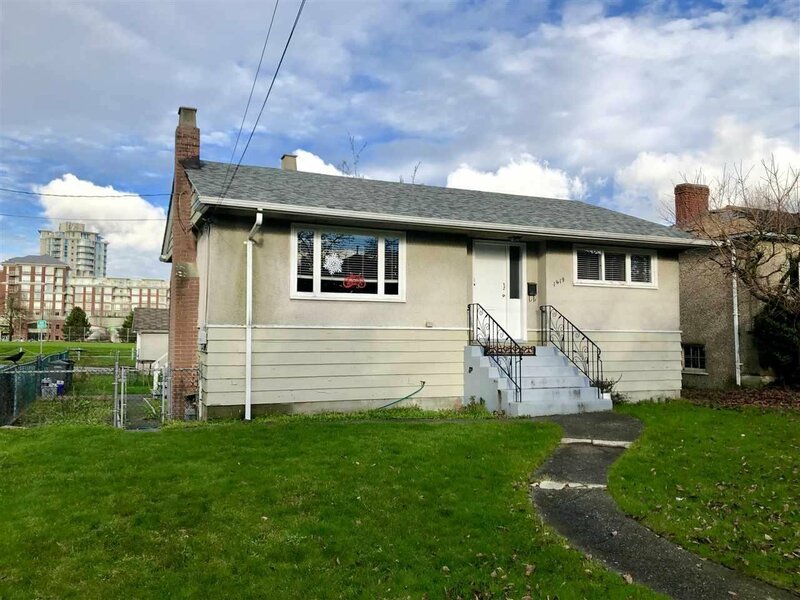 ALSO FOR SALE: 1427, 1433, & 1437 E 27th Ave. Call for more info!